Major Teams: Karnataka, India, Kent. good and innocent looks make him very popular among the girls. 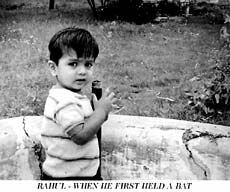 Ever since he burst upon the scene at Lord's in 1996, Rahul Dravid has been one of the main pillars of the Indian batting with his blend of technical proficiency and stylish strokes. In a side bristling with dashing batsmen, he has frequently played the sheet anchor role to perfection. 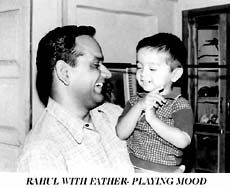 His style of batting was once regarded as too slow for the one day game, but through sheer practice, innovative strokes and imaginative placing of the ball, he has transformed himself into an integral part of the team in the shorter version of the game also. 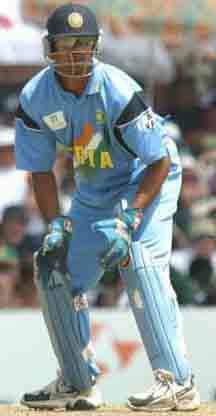 He was verily the batsman of the 1999 World Cup with two hundreds and the highest aggregate. For this, he was named as Wisden cricketer of the year last year, one of the few Indians to receive this special accolade. 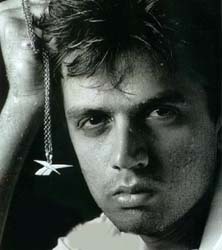 For sheer consistency, Dravid has few equals and has maintained a Test career average of over 50. His temparament is exemplary and his concentration legendary. 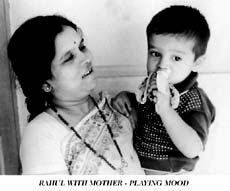 A batsman who revels in a crisis, Dravid, against New Zealand in January 1999, joined the ranks of Vijay Hazare and Sunil Gavaskar as one of only three Indians to have scored a century in each innings in a Test. The poor run in Australia in 1999-2000 was only a passing phase and he returned to top form the next season, including notching up his first double century in Tests. His promotion as vice captain was widely acclaimed. 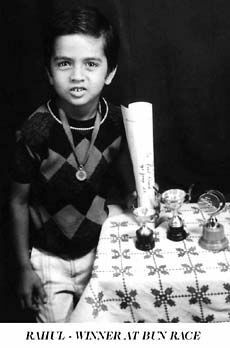 Dubbed as ``The Wall'' for obvious reasons, the modest, unassuming and well behaved Dravid is one of the most popular and instantly recognizable players in the land. 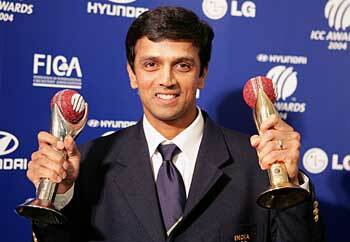 Rahul Dravid picked up Test player and player of the year awards at the inagural ICC Awards. India batsman Rahul Dravid has been named World Player of the Year at the inaugural International Cricket Council (ICC) awards. 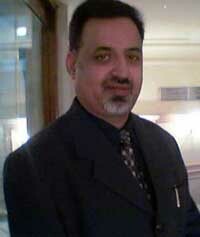 He was chosen by a 50-strong panel of former cricketing greats, national captains, umpires and referees. "It is quite unbelievable, I am really proud," said Dravid, who was also named Test Player of the Year. "I am so happy to be recognised by some really great people." The batsman, who has also turned his hand to wicketkeeping in the one-day game, received the Sir Garfield Sobers Trophy for being the best player in both forms of the game in the year to July 31, 2004. England all-rounder Andrew Flintoff was chosen as One-Day International Player of the Year to top off a memorable week for the 26-year-old after his partner gave birth to a baby girl. "If someone had said three years ago you would be getting One-Day Player of the Year I wouldn't have believed them," said Flintoff, who beat off competition from Australians Ricky Ponting and Adam Gilchrist and India's Sachin Tendulkar. "It has been a special week. I am pinching myself." Ponting was named captain of both World XIs and asked who would win if there was a game between the one-day XI chosen by the panel and his Australia side, he said: "Probably just the Aussies by a run or two." 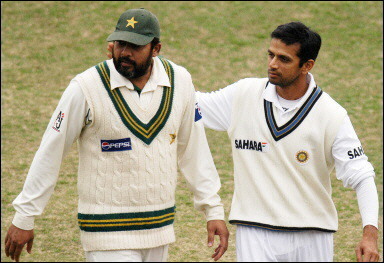 Pakistan captain Inzamam-ul-Haq (left) with his Indian counterpart Rahul Dravid. the pitch as they prepare for the second cricket Test at Fisalabad. 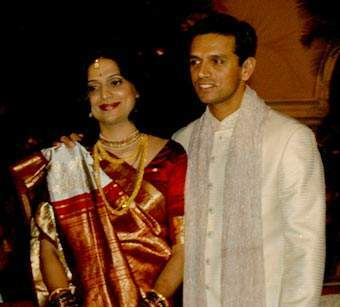 Rahul Dravid on Sunday May 4, 2003 married Vijeta Pendharkar, a doctor from Nagpur. The marriage was strictly a private affair. The couple obliged photographers by coming to the reception of Taj West End Hotel, where the dinner was being held, for ten minutes. South Africa, Feb 28 - India batsman Rahul Dravid has tried to play down the hype surrounding his side's crunch World Cup Group A match against Pakistan on Saturday. "We look at it as an eight-point game. If we win we earn four points and go into the Super Sixes," Dravid told reporters on Friday. "We could also be taking another four if Pakistan qualify." But India's vice-captain tried to play down extra pressure going into the match because of political tensions between the two southern Asian neighbours. "I don't think it is the duty of the cricketers," Dravid said during a practice session at SuperSport Park. "Our job is to play a game of cricket. That is exactly why we are out here. "We are not trying to take any stance or make any statements. The opposition just happens to be Pakistan." India, with 16 points, are almost into the next round, while Pakistan have eight and need to win their next two games to progress. 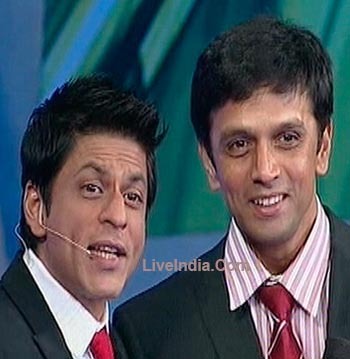 Dravid said most of the build-up was down to the media and emotional fans. "The great advantage of playing outside the country is you don't get caught in such hype," he said. "We are in our own world. We live and play together like a family." There is huge anticipation over the game because the two teams have not played since June 2000. Dravid was also unconcerned about criticism that he has problems accelerating the innings when batting in the middle-order. 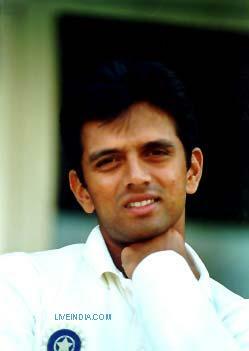 "I like to bat in the middle overs and get the side to win," Dravid said. "In the last two matches I have batted in the middle overs and got the side to a competitive total." "I have loved batting in the middle in this World Cup. End of the day I want India to win. Nothing else matters." 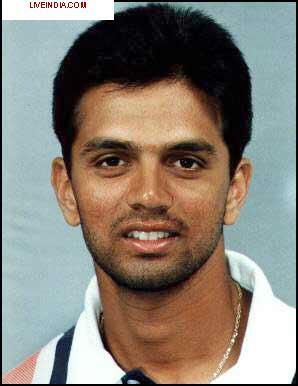 Dravid top-scored with 62 to help India beat England by 82 runs in Durban on Wednesday. He also held the lower order together in making 43 not out in his side's 83-run win over Zimbabwe.